Clarksville, TN – In observance of Immigrant Heritage Month, the APSU Hispanic Cultural Center and Hispanic Organization for Progress and Education (H.O.P.E.) will host a watch party of “Documented,” a film by Pulitzer Prize-winning journalist Jose Antonio Vargas, at 7:45pm on Sunday, June 29th, in the Wilbur N. Daniel African American Cultural Center (located in Clement 120). 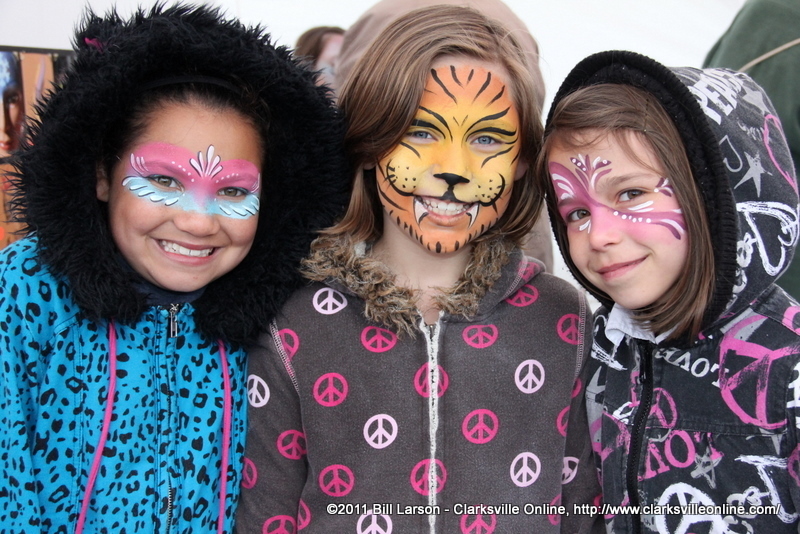 Clarksville, TN – The final day of the 2012 Rivers and Spires Festival on Saturday opened with unseasonably cooler weather to the point of being really chilly. Warm coats, hats, and/or gloves were the order of the day. Turnout started out slow, and might have been a little bit depressed over all from previous years as a result, but the people who did come out had a really great time! Clarksville, TN – Austin Peay State University will hold its second annual Joint Juvenile Justice Conference on Saturday, April 21st in the Morgan University Center. The conference will take place from 8:30am-4:30pm on the third floor of the MUC. 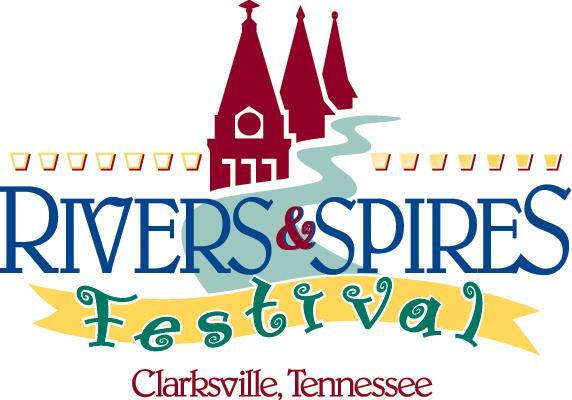 Clarksville, TN – Due to unseasonably chilly weather and a blustery wind, the third day of Rivers and Spires looked like it was going to end with a whimper rather than a bang, the victim of the unpredictable spring weather. However as the afternoon wore on, more and more people showed up to enjoy all that the festival had to offer. “The crowd hung in even though we had monsoon winds and rains, and I think it says a lot about this festival, and how much people enjoy it” said Festival Manager Doug Barber. Clarksville, TN – The 1st Annual Joint Juvenile Justice Conference will take place Saturday, April 16th, 2011 on the campus of Austin Peay State University. The Conference will be located on the 3rd floor in the Morgan University Center from 8:30am to 2:30pm. Clarksville, TN – The Hispanic Organization for Progress and Education (H.O.P.E.) will hold a Grand Opening for their new computer lab on January 5th, 2011 from 11:00am to 1:00pm. Clarksville, TN – The Hispanic Organization for Progress and Education will be holding a Job Seeker’s Workshop on September 24th at 4:00pm. The H.O.P.E. office is located at 410 Church Street. Today’s economic situation has changed the way people go about searching, applying for, and obtaining a job. Now, the internet applications are the new way to apply for work. Resumes are needed for almost everything you apply for, and an email address is often needed to apply for the majority of the jobs. With all of these new developments, a job seeker needs to be better prepared for the mission. The Hispanic Organization for Progress and Education (H.O.P.E.) will hold their 3rd Annual Women’s Conference August 14th from 10:00am to 4:00pm at the Montgomery County Civic Hall on Pageant Lane in Clarksville Tennessee. Sí, se puede – Yes we can enact immigration reform! A crowd of more than 200,000 gathered in our nation’s capital on last Sunday to push President Barack Obama to keep his campaign’s promise to enact a “just and humane” immigration policy for our nation. Jimmie Garland Sr. from the Clarksville Tennessee NAACP was there along with members of the Hispanic Organization for Progress and Education (H.O.P.E.) 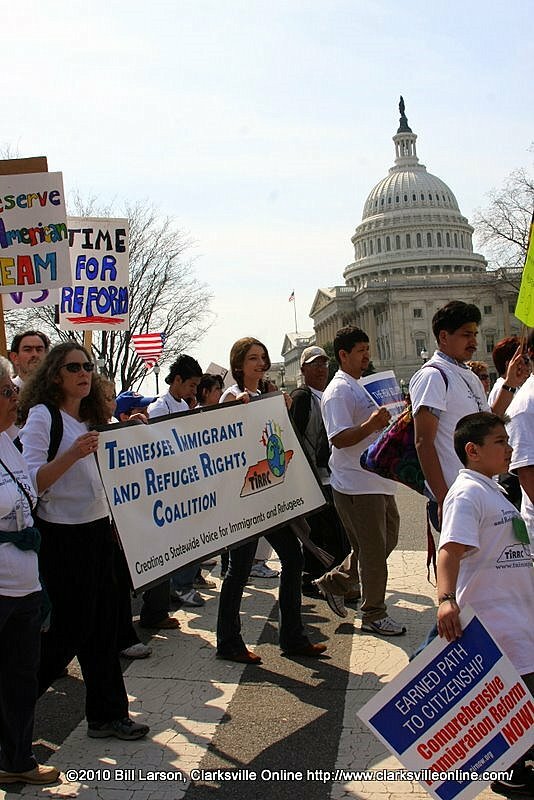 and the Tennessee Immigrant and Refugee Rights Coalition (TIRRC). Seldom does one have the opportunity to witness history in the making. As we marched through the streets of Washington, D.C., our nation’s capitol, you could feel the tensions of excitement in the spirit of the marchers. There were participants of all ages, nationalities, ethnicities, and social germane. Each brought their story, and contributed openly to the most important march for freedom in the 21st Century. A march that is certain to go down in history as the beginning of the Hispanic community’s call for real equality and justice. An appeal for unhindered citizenship, the ability for their children to not be left behind as they prepare themselves to become productive citizens.